These figs are currently at Market Street and they are beautifully ripe. 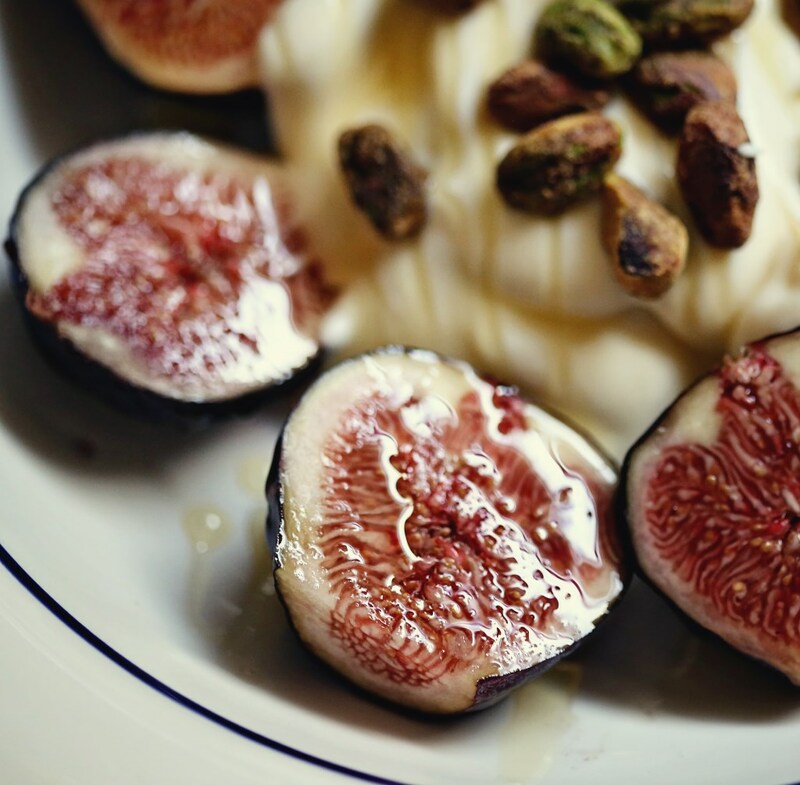 A fig is nearly an instant dessert without doing any fancy prep to it. It has such a luscious texture and the flavor is mellow and pairs well with so many things. So, with just a little work, you can escalate a simple fig into a high-end dessert you might get charged $12 for at a restaurant that claims to be “up-scale.” Not to mention, it’s wonderfully easy for a baby or toddler to eat, and it goes so well with wine, you might just feel like it’s the weekend in the middle of the week. Desserts can do that. And because this is a very sensible dessert, I’m giving you permission to eat it on a Tuesday, instead of waiting for the weekend. So, basically, the ingredients are the instructions. Wash the figs, slice them down the middle and remove the stems. 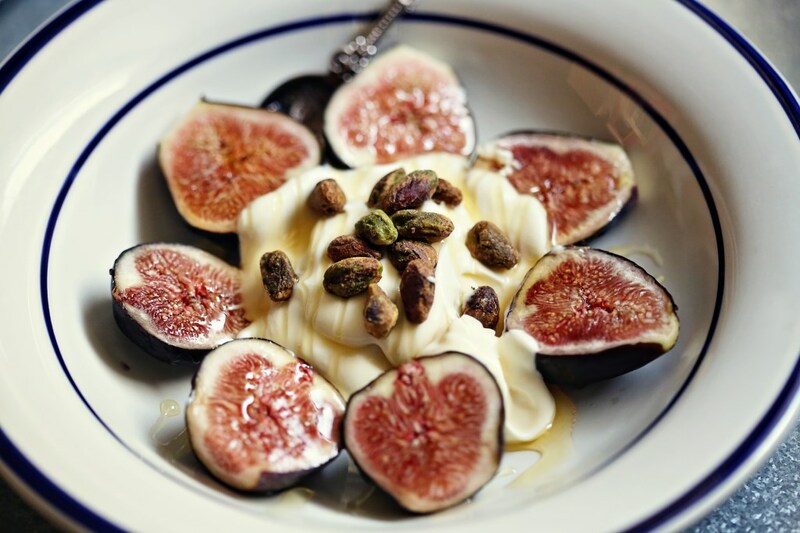 Arrange them on a plate and whip up the creme fraiche with the honey until smooth and place in the center of the figs. 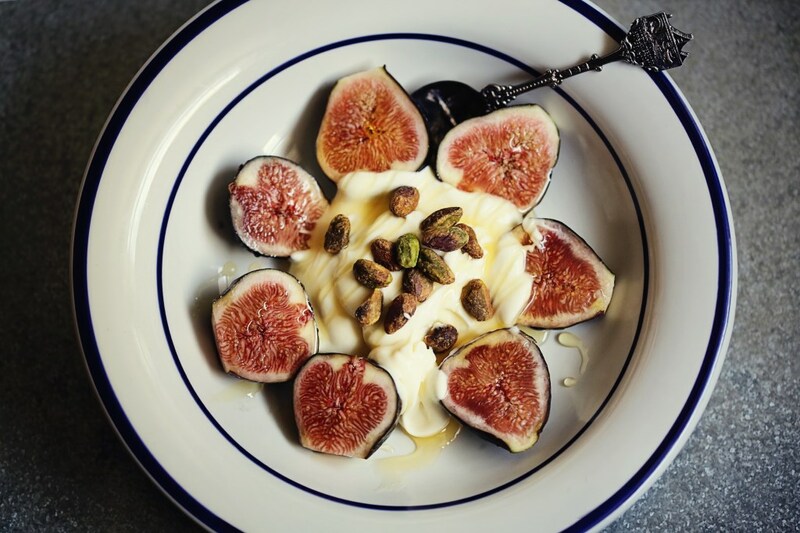 Top the creme fraiche with the pistachios and drizzle the whole thing with extra honey and serve! Creme fraiche can be replaced by greek yogurt, fresh whipped creme, or even marscapone cheese. The pistachios were a last minute addition but they totally brought everything together and added real depth to the dish. In the tone of James Oseland, I give this dish 3 and a half starrrrrrs.